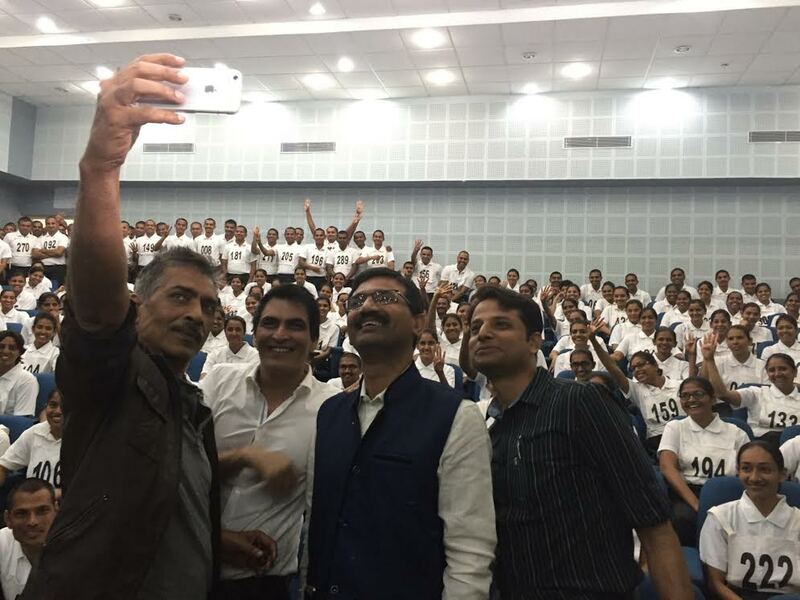 Director Prakash Jha and Actor Manav Kaul, both part of the cast of highly anticipated film ‘Jai Gangaajal’ were invited to visit the Gujarat Police Academy today. They were welcomed to the academy by senior officials I.G Vikas Sahay and the Crime head of Ahmedabad, Himanshu Shukla. As part of the visit, they were able to meet with close to 400 cadets that are currently training at the academy to become police officers and have an interactive session with them which included a Q/A session which gave the cadets a chance to have their questions answered by Mr Jha and Mr Kaul. Also as a special treat, Mr. Jha screened both the trailers of ‘Jai Gangaajal’ for the cadets present, which got a roaring response. The cadets were elated to spend time asking their questions to Mr. Jha and Mr Kaul as well as be a part of the screening of the two trailers. Mr. Jha had this to say about his visit to the academy and interaction with the cadets “I am very grateful for being invited to the academy and having a chance to interact with these inspiring young cadets as they train to be the next generation of police officers. It was also great to see the response we received from the cadets when they saw the trailers”.